Jeanne Gehret will be signing books at one of her favorite bookstores this Saturday, 3/24/17. Come say hello at Simply New York on Culver Road and find out why she hasn’t been blogging much lately. 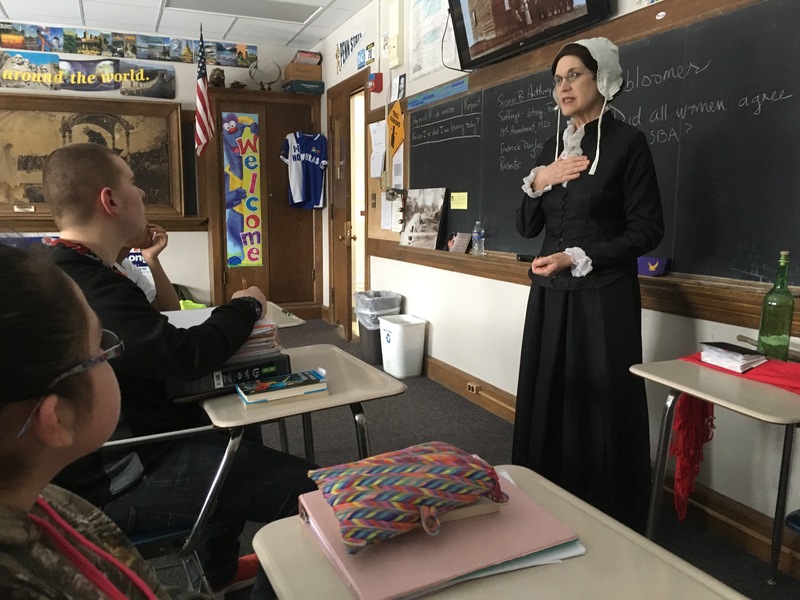 (Hint: she loves being a Susan B. re-enactor! But there’s another reason, besides.) Click here to learn more about her presentations. It’s great to see so much about wonderful women on Google and Facebook. But, as Susan herself would say, we still have a long way to go. Come met the author and hear some surprising stories about Susan B. and her family. 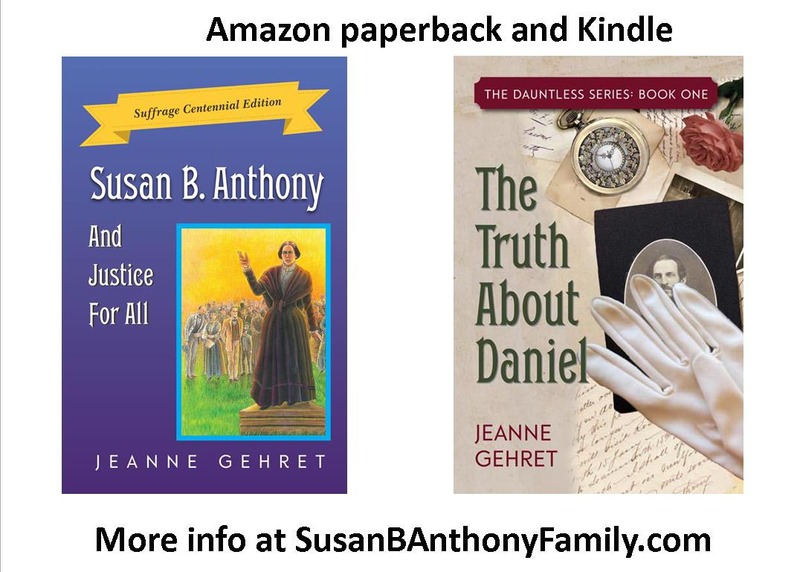 Jeanne’s books make great gifts for anyone interested in Rochester, antislavery, woman suffrage, Martha’s Vineyard, the border war in Kansas, and even romance! Jeanne will also have copies of her Coping Series (children’s books on dyslexia and ADD} for your favorite special needs child. This entry was posted in Jeanne Gehret, Susan B. Anthony, Women's rights and tagged Susan B. Anthony, woman suffrage, women's history month, women's rights by Jeanne. Bookmark the permalink.